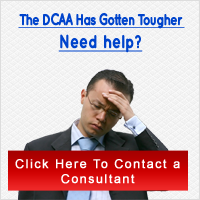 Find out the top 10 reasons why the DCAA will audit you. Try to avoid these! 2. Allocations not posted to Contracts or unavailable in standard reports. 5. Revisit the DCAA Contract Audit Manual (CAM) relative to internal controls. The CAM is the DCAA playbook and available free on the DCAA website. 6.Now would be the ideal time to identify and confront any material organizational or operational weakness in your accounting system. If management is still skeptical, turn around and show them the target on your back in the form of DCAA guidance. 7. Address any previous finding from auditors. Any subsequent auditor will likely review these, as well. 8.Prepare for a more confrontational tone from auditors. 10. Inconsistency of documents, data, and balances of funds.